As our “Godfather”, Paul is a mentor for Legacy and a pillar of his community. We rely on his guidance, leadership, and knowledge of the industry to help us grow, not only as a firm, but also as better people. Paul is in his 33rd year in the financial industry and is a senior financial advisor with Legacy Financial Advisors. Before Legacy’s inception, Paul spent 21 years as a top financial planner with Lincoln Financial Advisors. Paul has also recently earned designations as a Registered Financial Consultant (RFC) and Wealth Management Specialist (WMS). He has authored numerous articles and conducted various lectures at professional seminars on financial planning, estate planning and business succession topics. His articles can be found in various local papers and magazines such as the Cincinnati Business Journal. 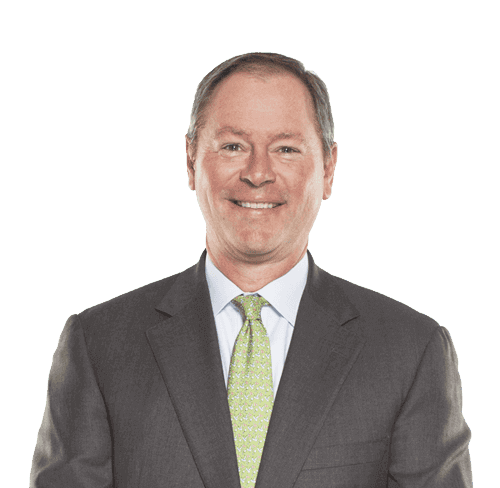 Paul is a Registered Representative through Triad Advisors, Member FINRA/SIPC and an Investment Advisor Representative through Legacy Financial Advisors, Inc.
Paul is a graduate of the University of Kentucky. After graduating, he spent two years as the Assistant Director of Development for Thomas More College. Paul currently serves on the board of The Baker Hunt Foundation and The Horizon Community Fund. He is the past Chairman of the St. Elizabeth Foundation, a past President of the University Club of Cincinnati, and a past chair of the Fine Arts Fund of Northern Kentucky.